Get the best price available! Just add it to your cart and then click request quote on the cart page. We will get back to you within 24 hours with a quote. Built to Endure. Engineered to Adapt. The DJI M200 is the ultimate aerial tool, built for industrial inspections, public safety operations and more. Contact us for pricing information and discounts. In a 2016 report titled Bridging Global Infrastructure Gaps the McKinsey Global Institute estimated a $350 billion global gap between annual infrastructure investment and what is needed to support expected rates of growth. Unless societies can bridge this gap, communities will be affected by dangerous and congested transportation systems, inefficient telecommunication networks and an expensive and unreliable energy grid. The current model for approaching this problem is to pressure governments to make up the difference themselves or create laws that further encourage private investment. Although this model should be pursued, companies in the sector should turn towards new technologies to diminish the gap through efficiency improvements. 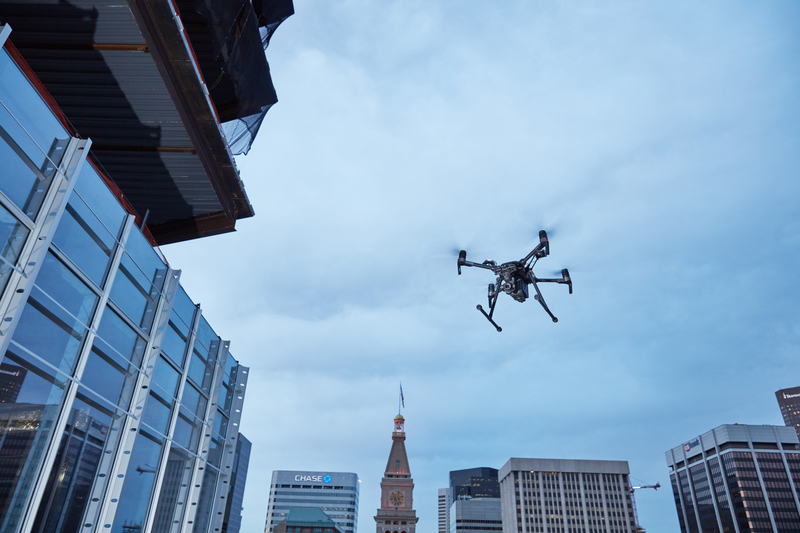 Seeing this investment gap and the potential for improving our urban environments through smarter infrastructure maintenance and construction, DJI has applied its drone technology to address industry needs. 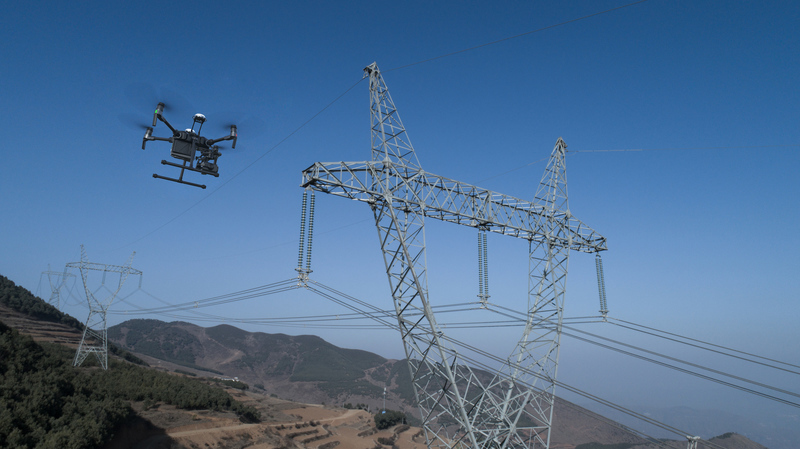 The Matrice 200 Series, a new line of enterprise drones, was built from the ground up to assist in critical infrastructure and energy projects. To those unfamiliar with the application of drone technology, it centers around capturing georeferenced data from a wide range of sensors which not only drive efficiency gains in current methods, but also enable the development of new data intensive methodologies. Furthermore, many inspections require engineers to scale tall structures. Such methods are not only time consuming due to the necessary safety preparations, but also inherently dangerous. Existing practices must leverage the opportunity drone technology affords and put workers at risk only when all other options have been exhausted. With a completely rethought design, the M200 Series is the most rugged and adaptable platform on the market. With new flight planning and operation management software users can now accurately visualize projects quicker than ever before. The fully integrated platform empowers teams to focus on managing the project instead of the tool. In the United States, as in many other developed economies, communities made significant infrastructure investments decades ago and now these networks are aging rapidly. This can cause economic inefficiencies and even risk lives as bridges fail. The American Road & Transportation Builders Association, in their 2017 Bridge Report, found that “there are 185 million daily crossing on nearly 56,000 structurally deficient U.S. bridges.” With these numbers only to rise, teams need a way to prioritize maintenance and increase efficiency with the teams they have. 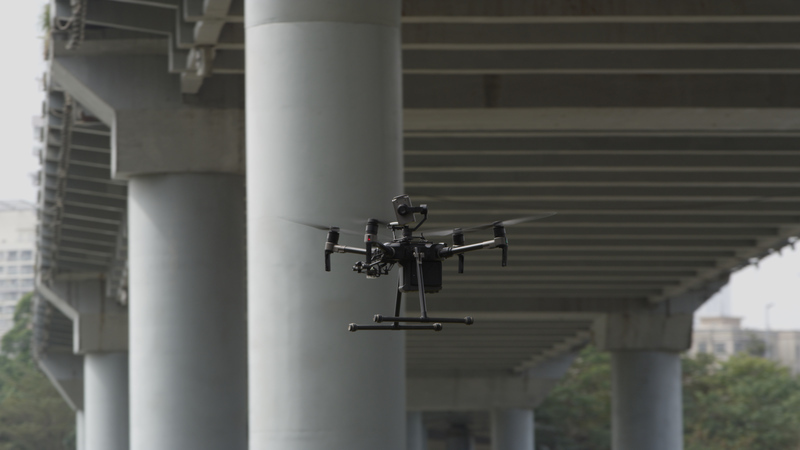 With the M210 model, pilots can configure a zoom camera such as the Zenmuse Z30 above or below the drone to fully visualize a bridge, allowing civil engineers to quickly understand where the bridge is structurally weak and further schedule maintenance. Without a M200 pilot to consistently scout issues, communities pay notably more for a less frequent and detailed inspection. Additionally, as current methods struggle document the site from all angles, maintenance crews called after the inspection often may not have the full picture, leading to repeated visits to fully resolve all maintenance requests. In addition to assisting with bridge inspections, the M200 Series can also keep energy facilities at peak efficiency through more detailed inspections. With the M210 model, inspectors can configure the drone to capture visual and thermal information in tandem, allowing inspection teams to cover more ground in a single day. Payload options are also suitably powerful, with the ability to achieve sub millimeter resolution at distances up to 50 meters and thermal sensitivity to half a degree. 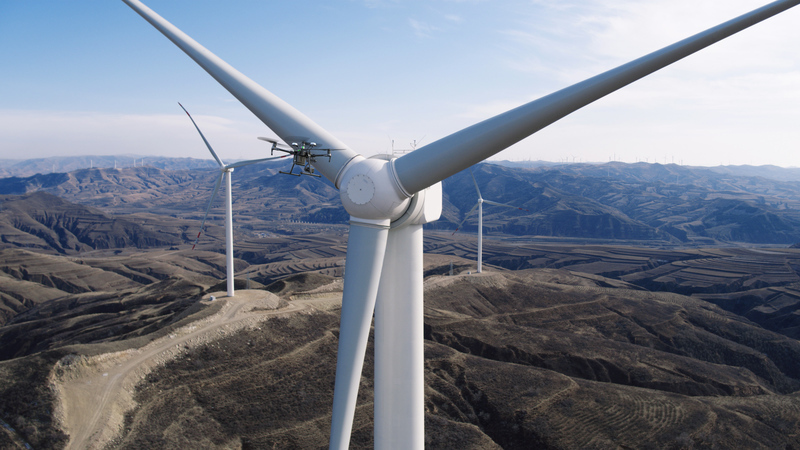 This technology is especially important for renewable energy assets and telecom networks, where companies often position wind turbines, solar panels and cell towers in remote areas. With the DJI FlightHub online operations portal, pilots can immediately stream inspections to an engineering team offsite, allowing teams to collaborate remotely when addressing areas of concern. This enables operators to more efficiently manage existing infrastructure assets and focus on investing in new projects. The aforementioned McKinsey Global Institute report found that emerging economies account for 60 percent of the necessary annual infrastructure investment, representing a unique opportunity to integrate technology at the outset. 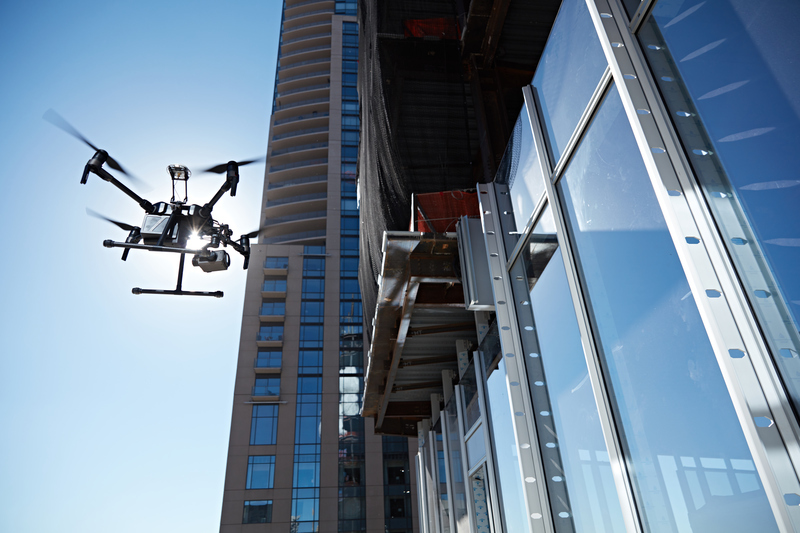 As BIM and VDC processes are becoming common practice on long term construction projects, drones are a fundamental component to realizing the full potential of digital workflows as they provide on-demand data to compare progress against plan. Data captured by drones amplifies efficiency gains throughout the entire lifecycle of the project, all the way from design to maintenance decades later. For example, an M200 with a X4S camera can provide daily data to quickly generate a georeferenced orthomosaic of the project that can be kept to track progress and verify work done by contractors. This works to quickly resolve any conflicts between sub-contractors and lets managers easily track project timelines by minimizing the time required to respond to RFIs. As economies continue to develop, we see steep rises in energy consumption per capita. This means countries must stay on top of rising demand by investing in new energy facilities and power line networks to ensure stable and affordable energy. The M200 Series can increase efficiency and rate of return at these sites by significantly reducing maintenance costs, effectively increasing the supply of investment for these projects. For example, previous versions of DJI’s aerial technology was able to reduce data collection times for visual and thermal solar panel inspections across 8 sites from 4 days to 1 and a half. With the M210 models, the flight times would have been cut in half as pilots could have mounted both a visual and thermal camera. Additionally, the relevant site managers could have instantly reviewed and processed data from this site and several others – when deployed at scale – with DJI FlightHub, simplifying the current inspection workflow. An additional limitation to growth for emerging countries is being able to properly maintain and integrate power line networks that were erected decades prior. Many of these networks were poorly documented, leaving gaps in maintenance records. With the M200 Series’ improved rugged design, energy companies can send inspectors to assess the structural integrity of insulators and gauge temperatures of wires to identify damaged lines with little worry about weather conditions that previously could delay a project by days or even weeks. With a detailed view of these extensive networks, utility companies can properly plan how to upgrade these networks and efficiently maintain those they can’t immediately upgrade.